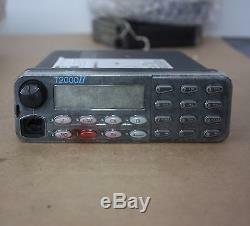 TAIT two way radio receiver transmitter T2020-343-B34 VHF 136-174 Mhz 12.5kHz. 1 only left which is labelled RSSI MOD UFO 13. There are also some units with faults. Note June 2018: THESE ITEMS TEMPORARILY UNAVAILABLE - PENDING INVESTIGATION OF POSSIBLE REPAIR. 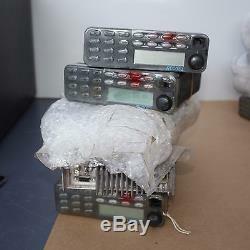 Currently my inventory of RF equipment includes broadcast television and FM radio equipment, ex police radio netw ork UHF communications equipment including 100W power amps and big rack mount power supplies, test equipment, aircraft radios and oth er avi onics items along with a huge collection of related equipment service manuals. 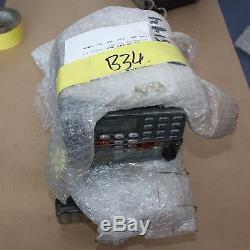 Contact and inspection of goods Please contact Tim Marshman with any questions. 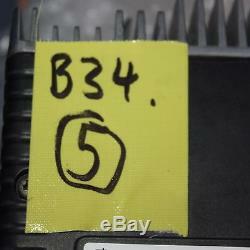 This item may be inspected by appointment at 9 Vernon Smith Court, Ottoway, South Australia. 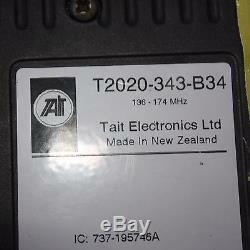 The item "TAIT two way radio receiver transmitter T2020-343-B34 VHF 136-174 Mhz 12.5kHz" is in sale since Tuesday, May 2, 2017.